All aboard the Pacific Surfliner! If you're lucky enough to live or even visit the west coast, you will begin to understand the beauty that it offers. Particularly when traveling up the PCH (Pacific Coast Highway) or 101 freeway, with the mountains to your right and the ocean on your left, you feel like you've reached Nirvana. I decided to travel up to Santa Barbara with friends for my birthday and it was quite the SoCal adventure. 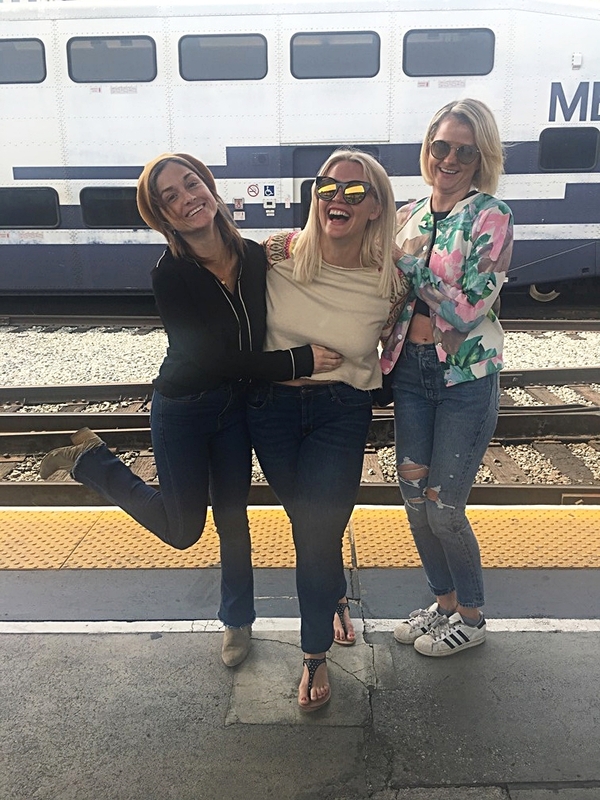 Normally, we would just drive up the coast but we opted to take the Amtrak Pacific Surfliner that stops right in the heart of Santa Barbara. Wondertip: For a little more fun and adventure, take the train up the coast. If you're visiting Los Angeles, you can pick up the train at Union Station in Downtown Los Angeles and it will take you right up the coast. A beautiful way to see California if you're a first timer! It takes a little over 2 hours to get up to Santa Barbara and tickets run you around $38 coach round-trip or $57 business class round-trip. The train runs every few hours so it will be easy for you to hop on and off. Awesome hotel! We literally walked, (you can take an Uber) direct from the train station. It's about a 5 minute drive, 10 minute walk. It faces the harbor and is very close to the pier and the Urban Wine Trail. A gem also smack dab on the beach and close to downtown Santa Barbara. Great choice! The Urban Wine Trail or "The Funk Zone"
One of the most fun activities to do in Santa Barbara is known as The Urban Wine Trail. There are many wine cellars and rooms to taste in located on Anacapa and State Streets. They have around 29 tasting rooms and cellars in total so trust me, you will never go thirsty! State Street is the popular destination in Downtown Santa Barbara for shops, restaurants, and bars. It has hip and trendy places to visit and has a great night life. Wondertip: There is a trolley that runs up and down State Street. It runs all day into the evening and if you're staying in one of the local hotels, it will usually pick you up right in front every half hour. The cost to ride is 75 cents per person and is a a great way to see Santa Barbara!